We love football and particularly a World Cup. A tipping comp puts a little more interest into the event especially games like minnows Panama taking on Tunisia. We'll provide a weekly update of competition outcomes and notable World Cup highlights. BYO banter. For those wanting to put something on the line, betting pool participation is $5. Competition winner takes home 80% of the prize pool with 2nd and last place each taking home 10%. If you're not a betting person, you are still eligible to participate and play alongside punters for general prizes. 1st prize wins themselves a new Fitbit. Bogey prize is a babushka doll, going to the outright winner of Group A (Russia's group). Wooden spoon will be gifted to the overall loser, keeping the tradition alive. 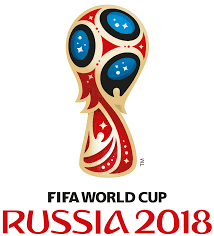 You will need to submit your group round tips for each game of the world cup in the below form. Entries close June 12, which is also cut-off for transfer of your $5, if you opt-into the betting pool. Please use the form below to lodge your group game tips. Once lodged, sit back and enjoy. 3 points per correct tip and 12 points for picking the overall winner.